Using the Piwik module you can track create, read, update, and delete requests as events against your backend automatically. Simply add the module to your app. The data will be visible after a few minutes the latest in your Piwik installation in the visitor log. 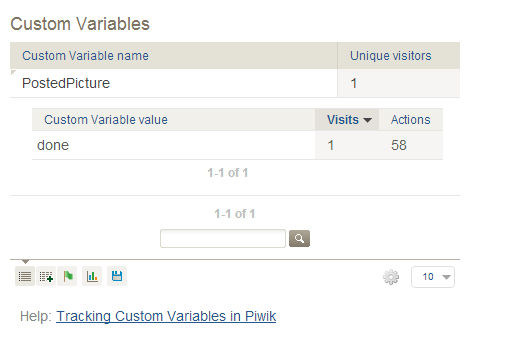 To see the logged actions, log in into your Piwik dashboard and click on "Actions". Choose "Pages" and unfold "apps". There’s a list of all backends you connected to this Piwik page. 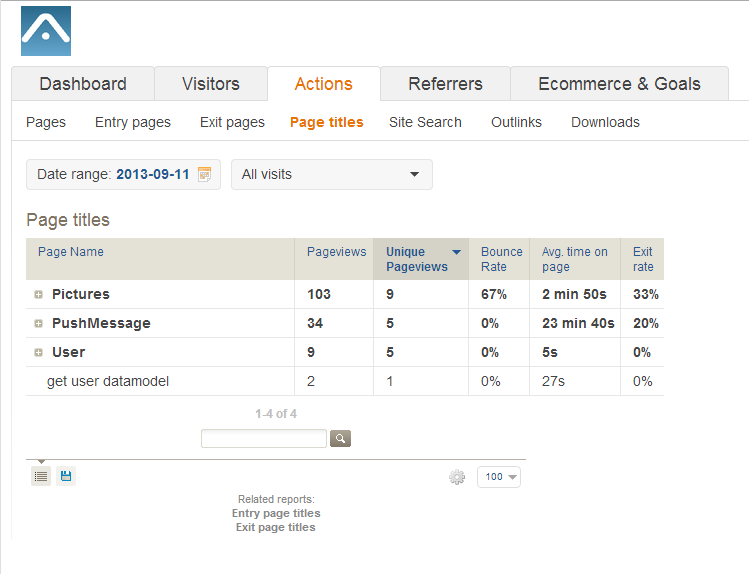 In the "Page titles" tab you can see all requests your backend received. If you use the Server Code in combination with the Piwik Module you can track custom goals. 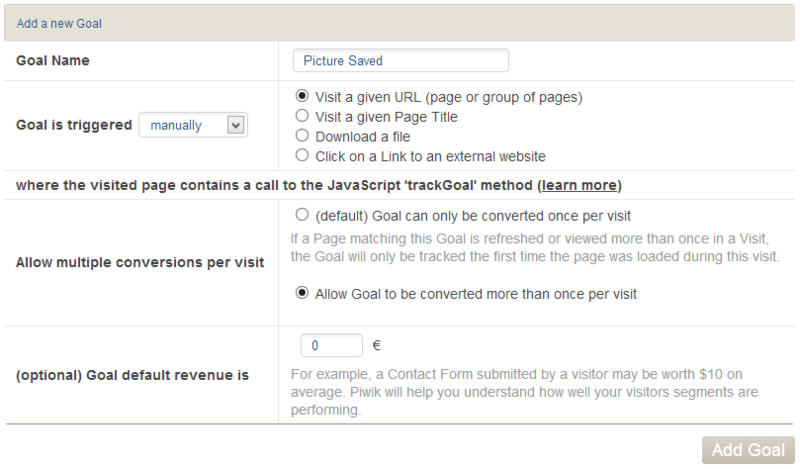 To trigger a goal like that, you have to set the "Goal is triggered" option to "manually". Keep in mind, that Piwik triggers the goal maximal once per second. To find the ID of your goal, change to the "E-commerce&Goals" Tab, scroll to the bottom of the page and click on "View and Edit Goals." After triggering the goal you have to wait some minutes until the conversion is showing in Piwik.